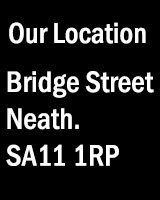 Neath Photographic Society is fortunate enough to own its clubhouse, complete with fully equipped darkroom, lightroom and photographic studio. Members of NPS are entitled to use the facilities as part of their membership. When you join you will have the opportunity to establish new friendships by involving yourself in the Society’s activities including an active social scene. Social events are organised throughout the year providing an opportunity to get to know other members whilst indulging in your passion for photography. If you are competitive and wish to challenge yourself and broaden your photographic skills, there are opportunities to enter Society competitions as well as National and International competitions and Salons. But don’t worry if you are not the competitive type, many members come along just to enjoy the social side of photography and the Society. So why not come along and see for yourself.